'Superman' director Zack Snyder found his superhero across the pond. 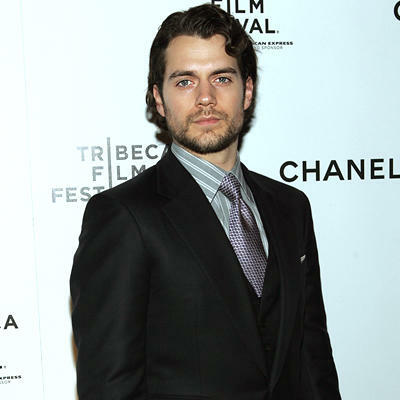 British actor Henry Cavill, 27, will play the Man of Steel and his secret identity Clark Kent in the movie titled 'Immortals,' The New York Times reports. Cavill is best known for his roles in "The Tudors" and the 2007 film 'Stardust.' Snyder, director of films such as '300' and ' Watchmen,' called Cavill "the perfect choice to don the cape and S shield." Snyder said of the movie, "In the pantheon of superheroes, Superman is the most recognized and revered character of all time, and I am honored to be a part of his return to the big screen." The screenplay was written by David S. Goyer ('Batman Begins') and is based on the story created by Goyer and Christopher Nolan, the writer and director of 'Inception' and 'Dark Knight.' According to The Times, the film is scheduled to hit theaters December 2012.